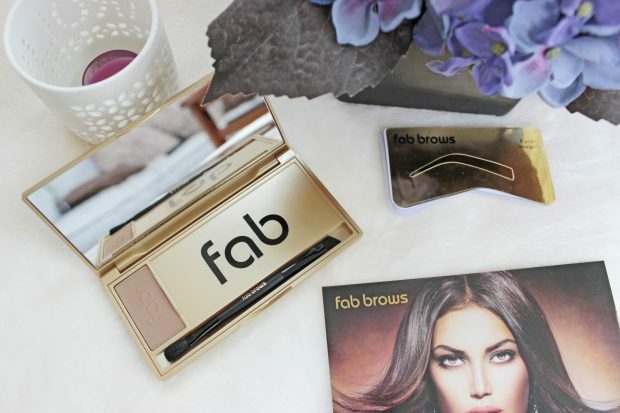 I love a good brow kit, in fact I probably have about three already not including any pencils I have, so when I heard about the Fab Brows Brow Kit* I knew I had to give it a whirl. There are days when I might just do some of my make up but leave my eyes for example, as I know I’ll be in my sunnies all day, but no matter what my eyebrows are always done. Great eyebrows can really make your face look great, and if done right can even make you look younger especially as we start to lose them the older we get. 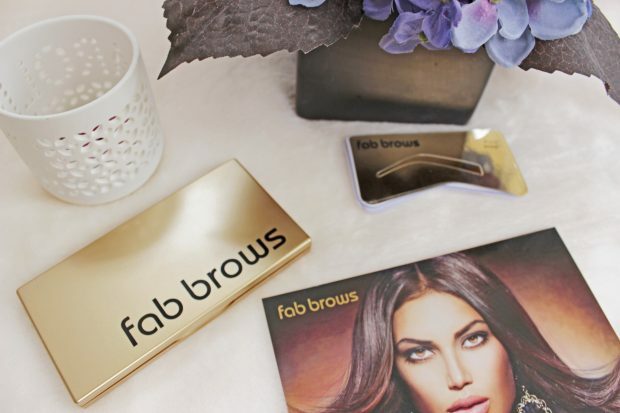 Fab Brows claim this is a semi permanent, waterproof, sweat proof brow powder but does it really work? 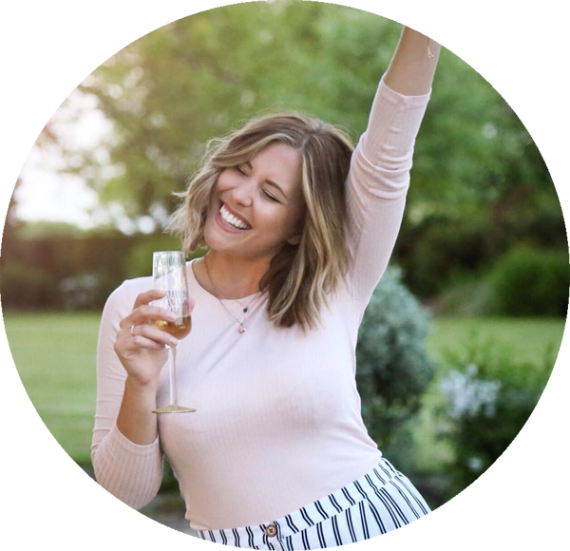 I decided to go with the light brown shade, this was due to the fact that I am rather on the pale side and even medium brown colour’s have looked rather dark on me before, and I was right to go for this colour, if this isn’t right for you there are four other shades to choose from. It’s a lovely ash brown and would look good from blond hair up to medium brown hair like me. Now I will say before we go any further, the kit comes with eyebrow stencils *eeeek*. But if like me your brows don’t have much of an arch or a bend then they won’t be any good to you. I couldn’t find one that matched my eyebrow shape, but I don’t think you really need them as long as you have a good eyebrow brush! The powder was easy to apply and easy to blend, I really liked that it didn’t give you that fake eyebrow look. I have found some powders to cake a bit and it ends up just looking flat and fake. The other thing I liked about this powder, and this is probably the important bit – I actually did a proper workout whilst wearing this and I mean I was sweating, yet they stayed on. So I am guessing they are quite waterproof, just how much it can stand I’m not sure as I usually have an umbrella with me! But it does wash off easily with cleanser or face wash. Also you never have to fear about having that itch on your brow again, I hate when this happens as there is usually no way around it, your product will rub off. I gave this a good rub though when I did get one and I was out the house to, all in the name of research. It didn’t come off at all, hoorah! I’d say the only thing that let this kit down was the brush that came with it, but lets be honest when are these things ever really any good? But with my trusty eyebrow brush in hand it wasn’t a problem at all! Overall it’s a great little kit and worth picking up for how long it lasts and its durability. 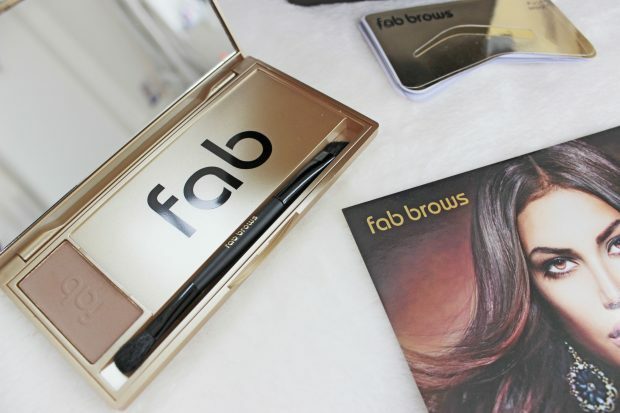 You can find the Fab Brows Brow Kit* at fabbrows.com for £20!